- It is New and Nice House with Garden, Located Sovanna supper market Area. good area suitable for living and office also. - 1 Living room, 4Bedrooms with A/C, 4Bathrooms, Very Big Kitchen, Balcony, and available for 2 -3 Car Parking. - Partly Furniture: Sofa in Living room; Bed and Mattress, Cabinet, Refrigerator, Dinning Table, Hot and Cool Water, Washing Machine. 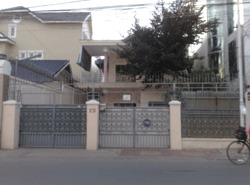 - Facilities: Good Security and Quiet Area, near International School, Best Location for Residence.